This is the ultimate all-in-one fishing app - it manages all your fishing memories plus it allows you to research and plan your fishing days. You can record your fishing events, trophies,and fishing spot locations. Adding the latest catch is done within seconds. Whether your focus is on planning your next fishing day based on weather and solunar periods, keeping a trophy gallery and fishing journal, or statistics and research of your past fishing events, this is the application you need. - Story - This offers the possibility to add a story about the catch. 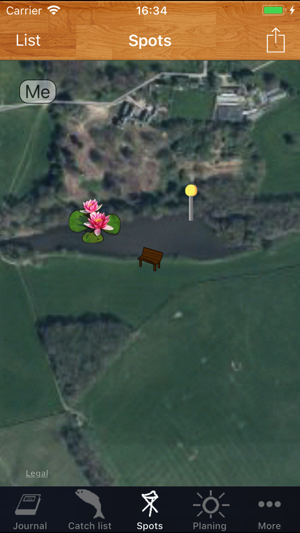 - Location - Record your fishing water, detailed location, and fishing spot. + Trophy Management. When you want to get a printout of your trophies, the application will assist you to store it, manage it, and email it! The application supports iTunes File Sharing for backup of application data, and optional Dropbox integration. You can easily export all catch information in the highly compatible CSV (comma separated values) and KML (location data - keyhole markup language) file format and perform your custom statistics on your data. + Research and Planning. Did you dream of documenting and planning your fishing spots? This application allows you to visually lay out your fishing water with symbols of your fishing spots that you can place on the map and give a name. Optionally, it allows you to share your fishing spot information with a friend via e-mail and Dropbox. Your friend can import them from the e-mail attachment with just one click. + GPS. If you get lost while afield, you can ask the application to show your exact position in relation to your fishing spots, allowing you to navigate to your spot. + Weather and Solunar Periods. 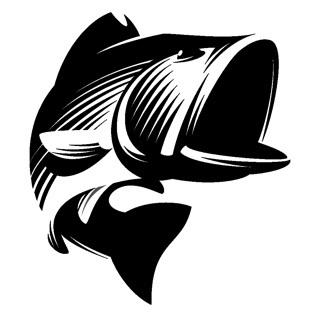 The Fishing Friend simplifies your life. 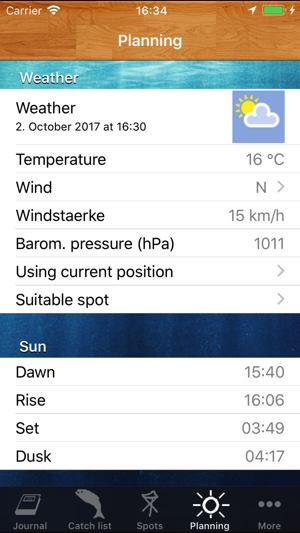 It gives you all information about weather, sun, moon, solunar periods, including a 4 day forecast in one view. Openness - CSV and KML export of catches allows you maximum flexibility and creativity doing your own statistics and research. Please leave me feedback in the App Store. For suggestions, please send me an e-mail so that I can improve the application according your needs. Have fun. Some learning curve required, but logged all prior catch history including weather (prior lunar phase automatic / prior weather manual entry). Current weather is automatic. Forecast available. Great for analysis after export to .csv and .kml via email. Upgraded to Dropbox feature backup and sharing ($4 worth it IMO). Fairly customizable and default setting a plus. Will use to pattern conditions. Stronger in-app analysis and historical weather lookup (sim to catchbook) would result in 5-star from me. 4 stars at this point. 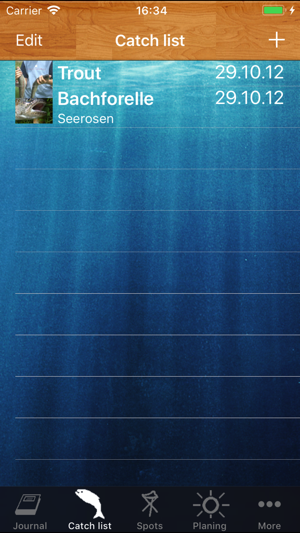 A section for tides and a way to add pictures from the journal page will bring this app to 4.5 stars. A way hold and drag the pin on the spots page will bring it to a 5. I have been looking for a angling log and this is the best yet. A few updates and it will be perfect. Worth the fee. Don't waste your time with the others. I already did that.